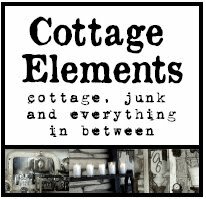 Cottage Elements: More About You, Less About Everyone Else Trunk Show! 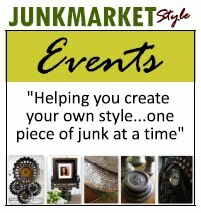 More About You, Less About Everyone Else Trunk Show! So I may be a day late and a dollar short, but here are pictures from our January Trunk Show called "More about You, Less about Everyone Else". This was the second annual event and was once again held at Otten Bros. in Long Lake, MN. It was a huge success! Lots of people, lots of buying, lots of laughing, lots of lots! I love these small venues as it gives you a more intimate setting with your customers as well as the other vendors. Here's a few pictures of this fun event....because it was all about you! Our blank canvas....perfect place to hold this event on a cold January day. Sue helping me empty my vehicle. Thanks, girlfriend! The bare bones of my space. The finished product! How's it look? Have you noticed how I love aquariums? They are great for display! I had purchased a whole bunch of these little boxes. They were a hot commodity! Something else I bought a ton of, these keys and key fobs from a Nebreska convent. Annie of Grace and Corazon was the first dealer to get set up. Her religious inspired jewelry is always a big seller. Love! She always has a beautiful display. Along with her gorgeous jewelry! She also has a line of hand created rings. Jolie Raimondo is the next dealer who showed up...along with her hubby for help with the physical labor! and the quality of her work is truely amazing! Julie Pierce from The Loft on 2nd was there with her creations. She's known for her handpainted pots and tags. But this was a new line of hers....wooden plaques. Lovely! Mary Den Hartigh of Mary Jeans was there with her hand made pillows. So elegant! Lori Gravink of Ladeeda Design was there with her hand made recycled clothing line. Two of my favorite vendors, Tracie and Lee Anderson of Histories. Isn't this industrial light phenomenal! Wow! These jewelry stands by Histories are great for either business or personal. Gretchen Schaumann of Mimi Torias Designs was also there with her unique one of a kind jewelry. Her displays are as fabulous as is her pieces! Laurel Putman from Chipping with Charm is so darn cute! The photo is a little blurry, but I just had to put it up. She's as cute as her booth! Larry Moore of The Country Junk Sale also had some of his vintage farm pieces in the mix. And then there's Devin Johnson from MakeShift accessories. His creativity is over the top amazing! Is brother is always along for additional help. Wish I could remember his name. Oopsie doopsie! We had a great turn-out! But we still had top to chat with the other vendors. Gretchen and Sue, get back to work...lol! Lori's bleached out T's were so much fun! And Annie's booth was always busy! Isn't Sue the cat's pajama's in this vintage suit from Ladeeda Designs! Hope you enjoyed my little tour! I know I go C-R-A-Z-Y sometimes with the pictures...but that's just me :-) Have a great day and see you in my next post. Hey, I think I'm getting back into the swing of things. Yeah! Wish I lived closer, I want that tall milk can in your display! Great pictures of all the booths, they have some nice stuff for sale. 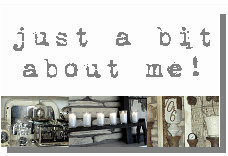 I like any post that begins it's "more about you"...then I glance to my right and on your sidebar it reads "a little bit 'bout me."! Whoa Nelly...let's talk so more about me! I'm just ribbin' ya! It looks like a fun show and I love the name makeshift. P.S. Those fobs are downright heavenly!